Aerial view of many cities displays a grey and dull picture. But thanks to green, living roofs and their many benefits, we are on our way to having more colorful skylines! This new roofing trend features green surfaces on top of our asphalt commercial and residential buildings. 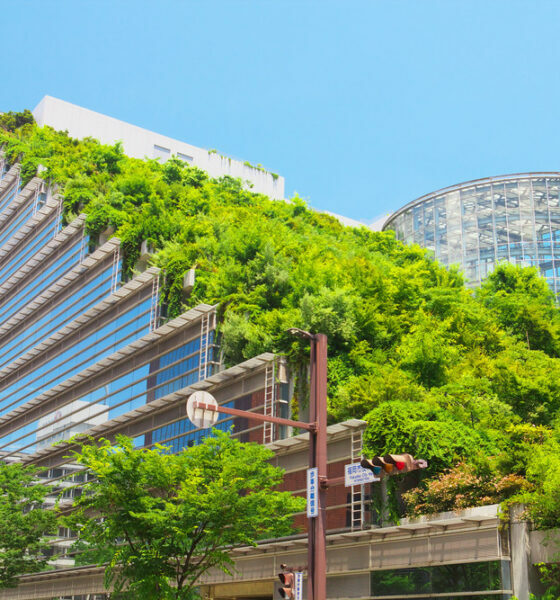 Green roofs have many advantages in comparison to traditional roofing and could help us lead a better, more affordable, and enjoyable daily routine. So why not explore this phenomenon with us? A green roof is exactly what it says it is: a vegetated landscape on top of your roof! It is made of several layers that are intertwined and create a coordinated system. 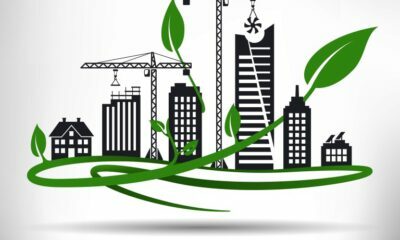 Green roofs work on the economic, ecological, and social level and can be built for a variety of reasons. Their many benefits have made them a trend among homeowners, as well as business owners. After all, who wouldn’t appreciate having an eco-friendly, cost-saving and long-lasting roofing system? Green roofs are a great solution if you wish to add value to your home, if you crave a small garden, or perhaps you want to focus on the environment. They automatically improve our mood and make us feel happier and healthier. Having a layer of vegetation on top of your home can help reduce your home’s temperature during summer months. Plants absorb 50 percent of sunlight and reflect additional 30 percent, helping you reduce the need for air conditioning. Green roofing affects the entire community’s temperature as well. As a matter of fact, it can reduce the overall temperature of a locality up to 3°C. Every year we witness tragic reports on biodiversity on our planet. What if you can change that? 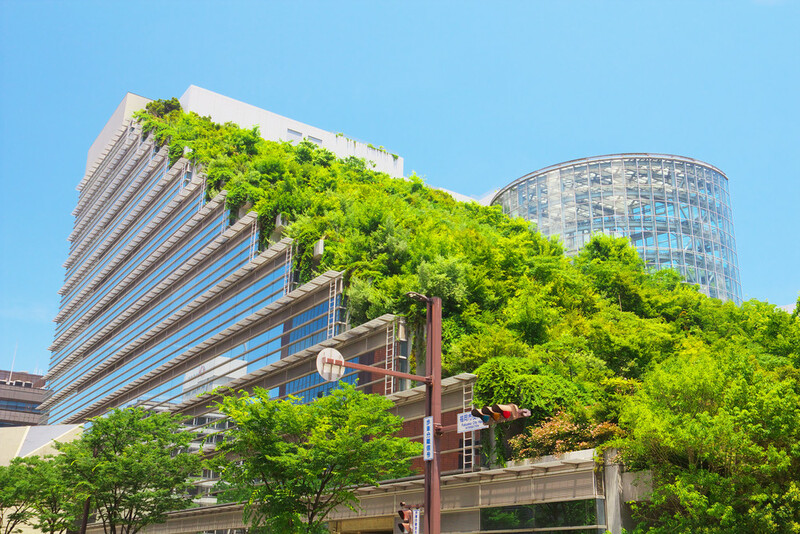 Green roofs have been proven to have a significant impact on biodiversity in cities. They represent a new habitat for birds and butterflies in places that are dominated by asphalt and concrete. A vegetated layer will protect your roof from external conditions – intense sun rays, winds, and extreme temperature fluctuations. As a result, you can expect your roof to stay in good shape for a longer time, even up to 50 years! Added value is a well-expected result of having a green roof. Natural and pleasing aesthetic appearance combined with strong energy efficient properties is likely to be a magnet for buyers in case you decide to sell your home. What Does Green Roof Installation Look Like? The technical part of green roof installation is no DIY project so you’ll definitely need to hire professional green roof installers. Once they inspect your roof and confirm it can handle a growing garden, they will first lay down a waterproof membrane on the roof that will protect your interior. On top of it, they’ll put a fabric that will contain the soil and thus keep the plants vital and fresh. Finally, they will place a draining membrane that will play an essential role in keeping your plants healthy and will provide additional protection to your home. Succulents are thick plants that are perceived as water storage plants. They are profoundly low maintenance and come in a variety of colors. If you are looking for a plant of smooth texture, then sedum might be it. It was the first plant ever used in green roofing. It comes in many colors and allows you to get creative with the aesthetics of your roof. As well as sedum, sempervivum comes in different colors and doesn’t lose its looks in the winter. It will keep your roof looking polished all year round. There are many kinds of grass you can use on your green roof but keep in mind they will require specific maintenance. Two commonly used types of grass for green roofing are thrift (Armeria maritima) and smooth black sedge (Carex nigra). Thrift is an ideal grass for properties, and black sedge requires less soil. If you don’t appreciate the idea of higher maintenance, you can consider getting roll-out grass that also provides a high-quality vegetation layer. Wildflowers are what many people construct their green roof for in the first place. 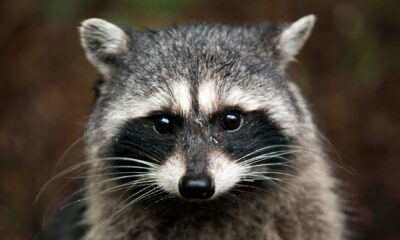 They create a beautiful green habitat for wildlife and look compelling. A lot of homeowners pick Alpine aster (Aster Alpinus) because of their durability and bold purple color (they’re also a real magnet for butterflies!). Aromatic yarrow (Achillea Millefolium) is a great choice for large roof gardens as they can withstand foot traffic pretty good. You could also go for a pregrown mixture mat that can be rolled out just as grass can be. When it comes to herbs, you can get creative! Herbs that are meant to grow in a dry area have a vast potential for developing on your green roof. For instance, thymes is only a few inches tall, it is desirable in the kitchen and has a specific, sweet aroma to it. And if you are a fan of pizza (and who’s not??? ), then you will adore the possibility of growing oregano on your roof garden. It grows about 5 inches and is easy to grow. Roman chamomile (Chamaemelum nobile) is also pretty resistant to foot traffic and smells incredible! If you wish to grow food on your roof, then ensure deeper soil on your roofing. Growing food means transferring to an intensive type of green roof that demands more care. You need to pay extra attention to the irrigation system which should be correctly installed. Some of the green-roof-appropriate-veggies include potatoes, cabbage, cauliflower, carrots, lettuces, onions, peppers, squash, and many others! Isn’t it perfect to have your own fresh food right there on your rooftop? Green roofs bring countless benefits: not only for you, but for the environment and your community as well. While you spend quality time gardening and being outside, your roof will provide additional insulation, save energy, and contribute to purifying the air.